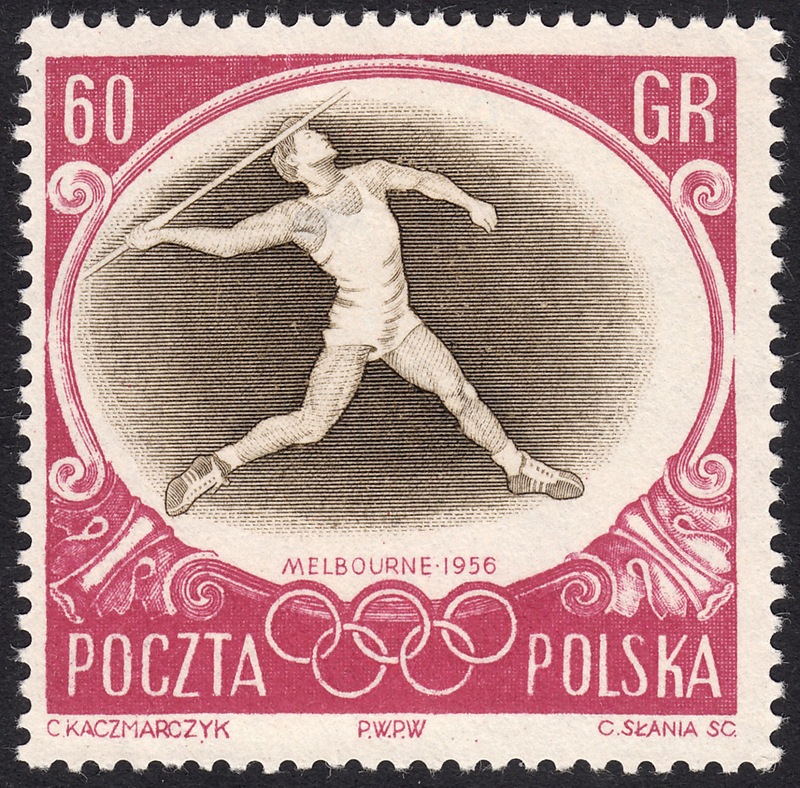 The Games of the XVI Olympiad were held in Melbourne, Australia in 1956, between 22 November and 8 December. This was the first Olympic Games ever to be held in the Southern Hemisphere. All events, accept equestrian, were held in Melbourne. The equestrian events were held in Stockholm five months earlier, due to Australian quarantine regulations. Incidentally this was only the second time in Games history that the events were split between two countries. In 1956 Poland issued a stunning set of 6 stamps to commemorate the Games of the XVIth Olympiad. 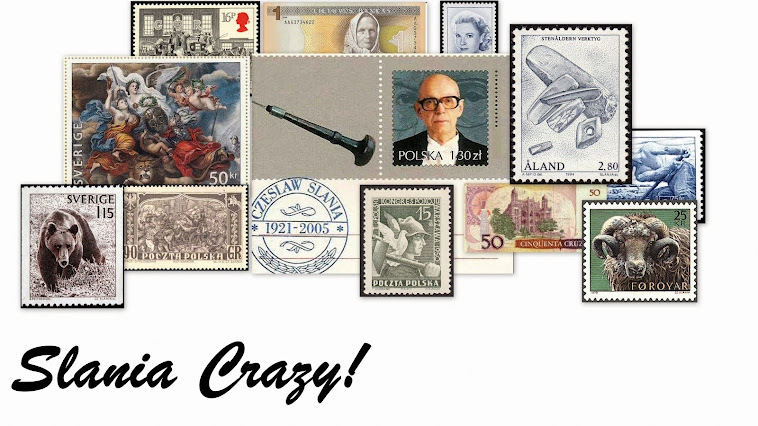 One of the designs, the 60g value stamp, was engraved by Czeslaw Slania. This fantastic engraving is based on a photo of a Polish javelin thrower by the name of Janusz Sidlo. Sidlo competed in an amazng five Olympic Games. The XVIth Olympiad was Sido's 2nd Olympics. As a matter of interest, Sidlo won a silver medal in the 1956 Games. Thank you! It is nice to be back stamping again :) I like your blog, too. Yes, great you are back, Matt. There is an imperforated variety of this stamp, but very rare and very expensive. Also exist stamp with "Specimen" printing on the back. This one is from the book "400 Years of Polish Post". Good to have you back matt! It's been very boring without you.